Happy New Year everyone! Hope you had wonderful holiday season! We headed out to Palm Springs with some friends for NYE. We rented an awesome house together and had such a great time hanging out poolside in lovely 80° weather. It was a great way to ring in the new year! Here’s a collection of iPhone pics from our weekend. These were taken on Instagram and Hipstamatic Disposable. 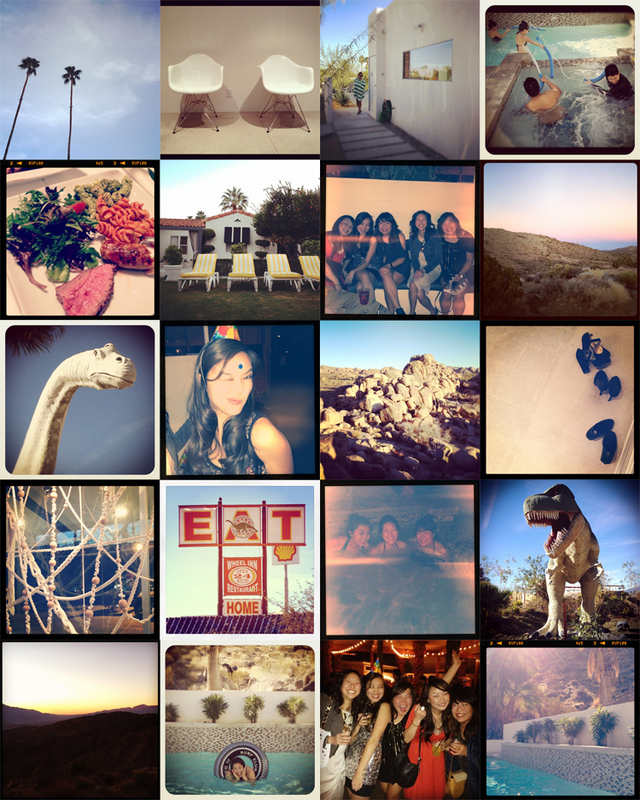 Hipstamatic Disposable is a fun app where you can share a “disposable” camera with friends. Everyone that you invite can take pictures on the shared camera from their own phone, and you can only see the images once all 24 frames have been shot. It’s fun to see everyone’s pictures once it’s done!